Control de corte de frecuencia y de ganancia de alta precisión. Amplificador de 200W. Dimensiones: 34,3 x 55,9 x 41,9 cm. Acabado black grittex Do one thing, do it perfectly. Confirmation of REL’s motto arrives in the form of the all-new BRITANNIA Series. Just once in the past decade has this proud company issued forth with a new range. Avoiding gratuitous embellishment, REL continue to extol their classic virtues of conservative design principles; mil-spec approaches to amplifier construction, leading edge acoustic designs, and a general impression of quality that reminds some of that other great British icon, Rolls Royce. With BRITANNIA, an entirely new generation of high-end music and film sound devotees are poised to revel in the fruits of REL’s labors. 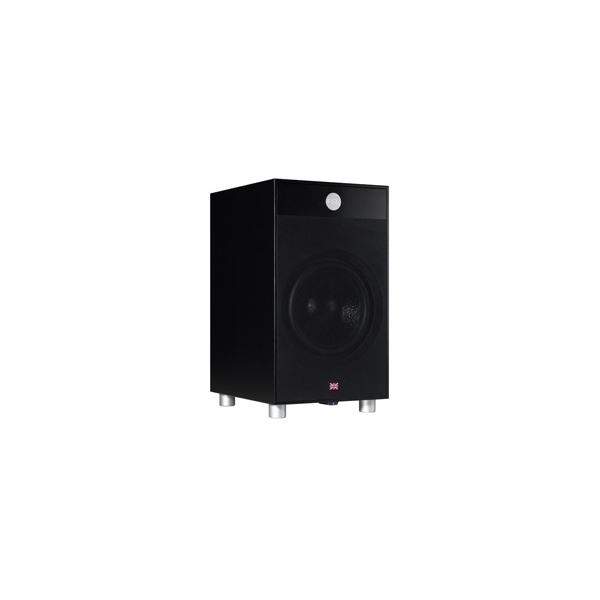 These newest offerings are superbly crafted to perform dual roles in both the most sophisticated music or film sound systems with equal facility. The combination of an ultra-powerful new range of bass-engines, mounted forward firing, and with a patented twin-chamber exhaust, venting out the bottom produce truly prodigious low frequency output with startling speed. Last but not least, that most British of all virtues-value-is present everywhere one looks. This beautifully finished unit measures less than 22” high, yet backs up its looks with performance that must be felt, as much as heard. True sub-20Hz in room response is attainable at high output levels! As with all B-series, flexibility of placement is a high design priority. The ideal blend of power and grace. Quality isn’t everything; it’s the only thing. All Britannia Series feature 24 crossover frequencies from 22-96Hz, using precision trimmed circuits. 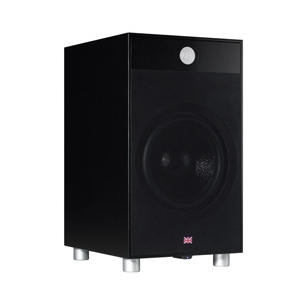 REL’s unique design permits operation of both high-level support of main speakers and .1 channel from one B3–something no other manufacturer offers. Massive power supplies and outstanding build quality are the cornerstones of REL’s reputation. Enclosure Type: ARM Loaded with Port Port Diameter: 2.84 inches Input Connectors: 2-Neutrik Speakon / 2-RCA Phono Gain Control Range: 80dB Amplifier Type: DC Coupled MOSFET Input Impedance: 100k Ohms, High Level, Two-Channel Unbalanced 100k Ohms, High Level, Single-Channel Balanced 10k Ohms, Low Level(LFE), Black 0dB, Red + 12dB Drive Unit: 10 inch, Long Throw Low Frequency Response: 18Hz in Room at –6dB Power Output: 200 Watts Phase: 0 and 180 degrees Dimensions (WHD): 13.5 x 22 x 16.5inches Weight: 66lbs. 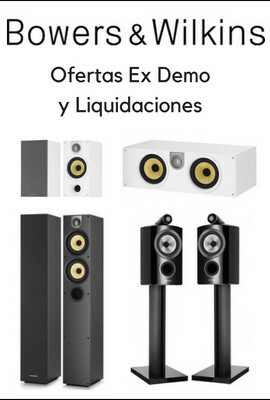 SDS10 - Subwoofer activo de 10" y 250 W con radiador pasivo de 10"